I have missed it. 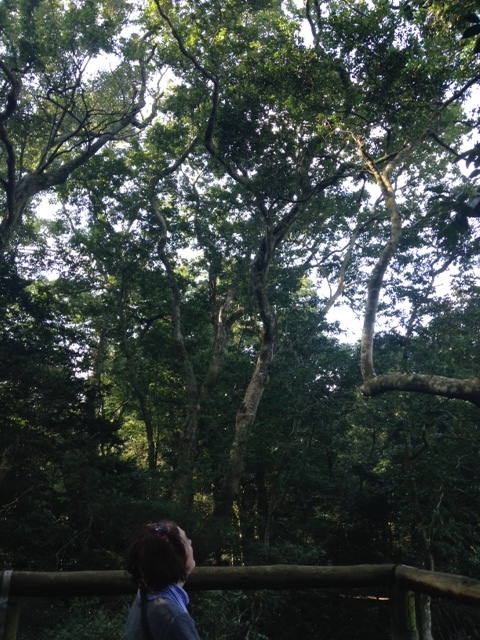 The filtered sunlight, the iridescent, aromatic green, the smell of vegetation decomposing, creatures burrowing in the deep, dark, earth, the canopy above enveloping me, a lush, emerald embrace that clears the head, fills the lungs. Bare foot on cool, fertile soil, beautiful roots of ancient trees, impossibly clear streams. Exhale. Inhale the forest. I have missed it. 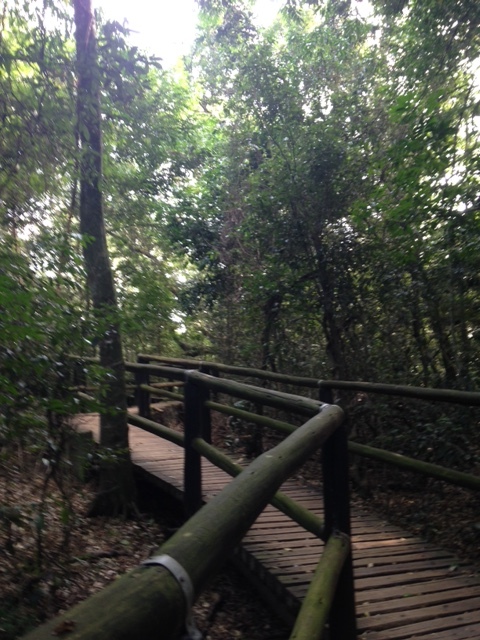 Then I visited KwaZulu Natal, and there, miracle of all miracles… Wheelchair-friendly walkways beneath that canopy of green, through that earthy aroma, beside the fern fronds, earthworms busy-busy beneath us. What bliss. 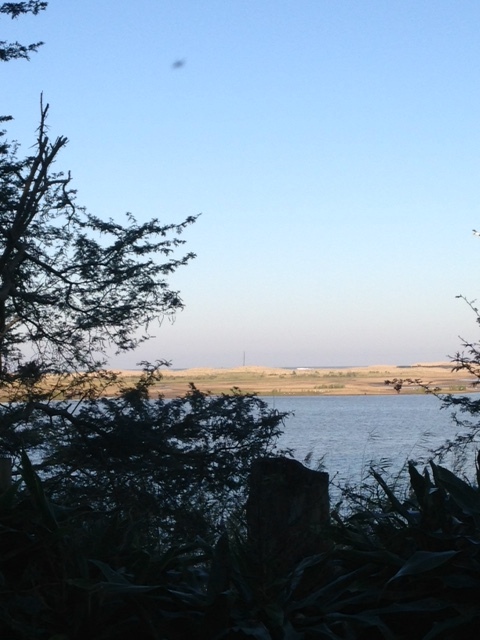 iSimangaliso Wetland Park was our first experience of it. 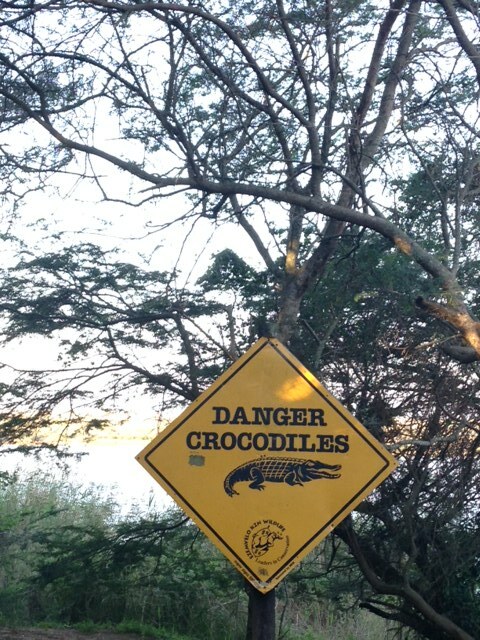 Following a narrow two-track road through quiet bush, we parked next to the start of the uMthoma aerial walkway, warning notices of elephant, hippo and crocs. 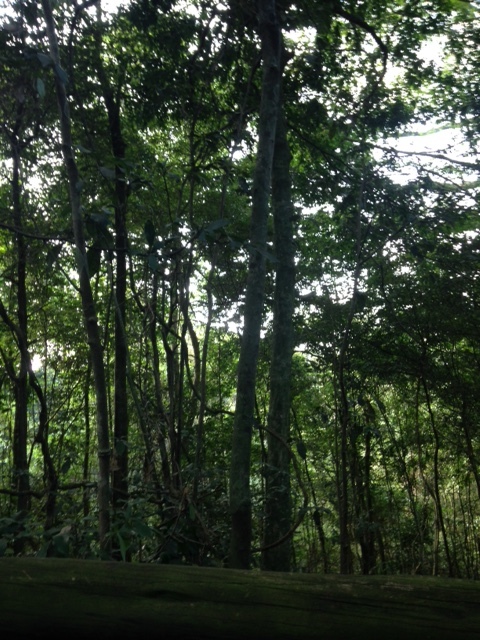 We were entirely alone, the loud, chirruping quiet of the bush the only sound. 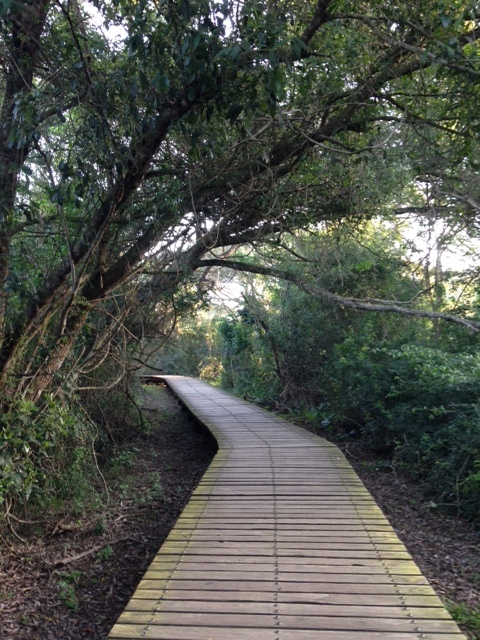 The elephant, hippo and crocs hid behind tree trunks, breathing softly, watching us pass on the path, as I breathed and breathed, that emerald air filling my lungs. 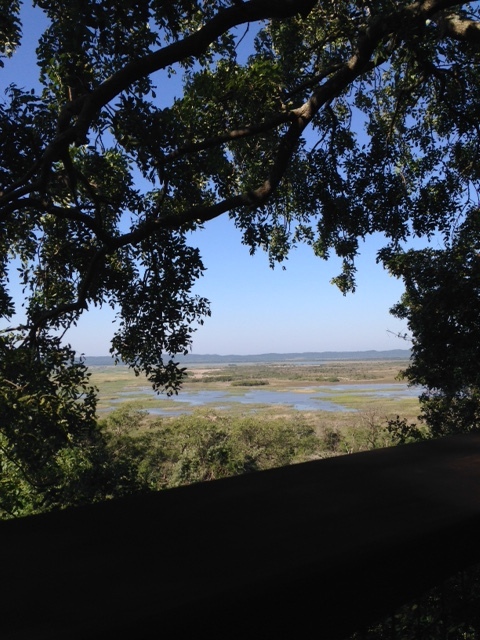 Reaching the viewpoint, a postcard vista across the St Lucia Wetlands, metres above the earth, in the canopy, in the Syringa tree house of my childhood. I can breathe. 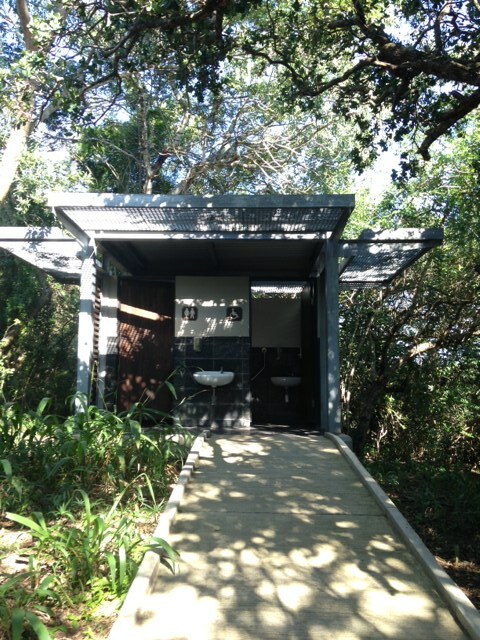 Then to St Lucia, and a wooden walkway through the coastal forest, all beset by crocodiles, hippos grunting over there in the estuary. 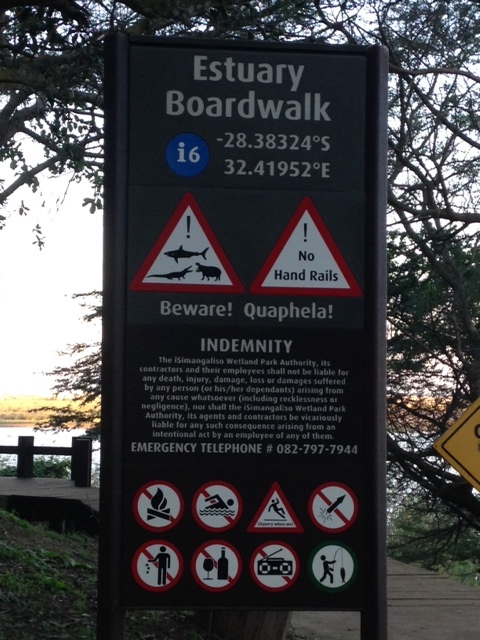 This one is different to uMthoma (but still lovely). It’s human-busy with Sunday afternoon strollers. A grandson walks with his Granny, slowly, carefully. Just across the river, a huge crocodile suns himself on the shore, seemingly unconcerned by the human noise floating across the water. I imagine, though, that he’s listening to the conversations, his Sunday radio soapie. 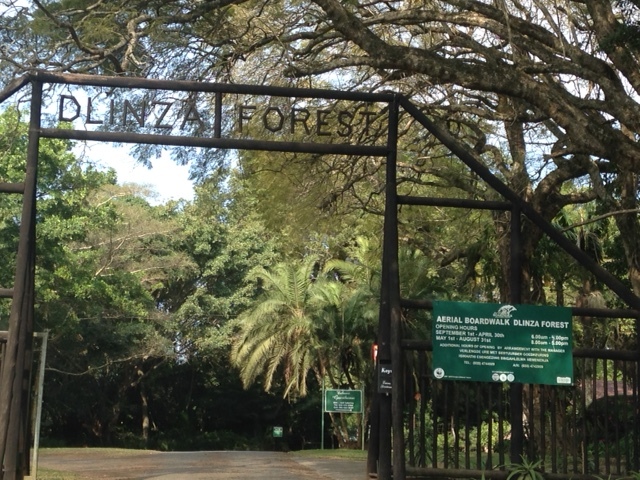 A few days later, we’re lucky to have the Dlinza Forest entirely to ourselves again. 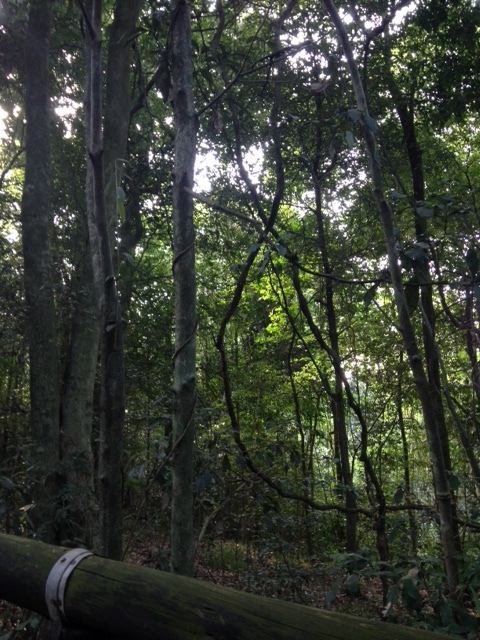 It’s deep green, mossy, lichen-filled forest, huge strangler fig trees whisper as we walk. 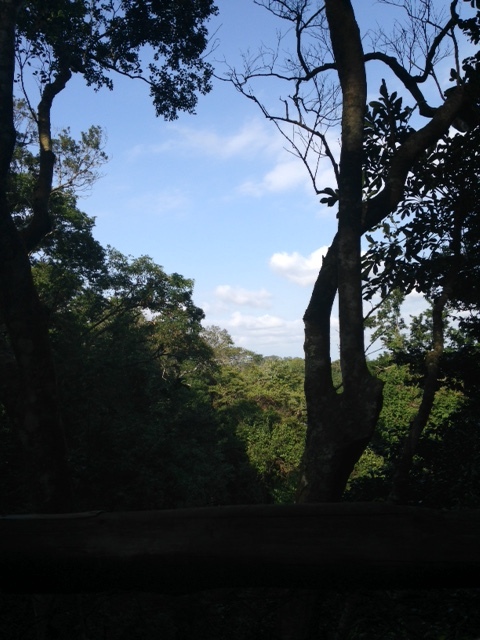 Staying at the first lookout as GM heads on in (it’s fairly hard work, wheelchair-wise), I sit happily in the birdsong-filled air, 10 m above the ground. This is what it feels like to be a bird, to sit on a branch, to just breathe gently and listen. 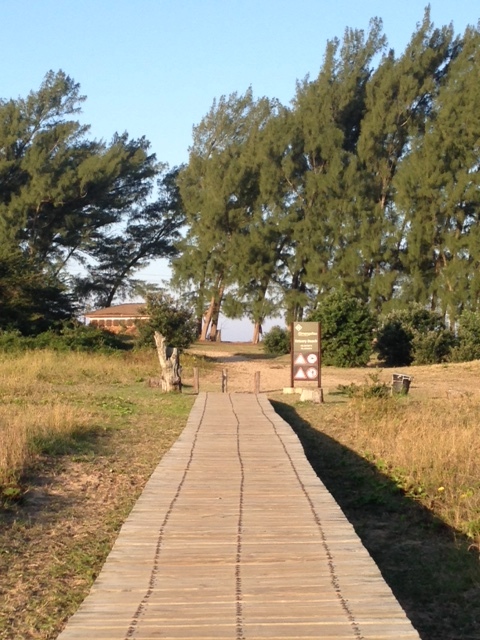 Thank you, iSimangaliso and KZN Parks and everybody else who was involved in creating these beautiful walkways and allowing me (and my ilk) to get back into the forest, to breathe in the emerald, damp soil-filled forest air. Sigh. ***Anybody in a wheelchair wanting to visit these spots, drop me an e-mail and I’ll let you know the nitty-gritty. 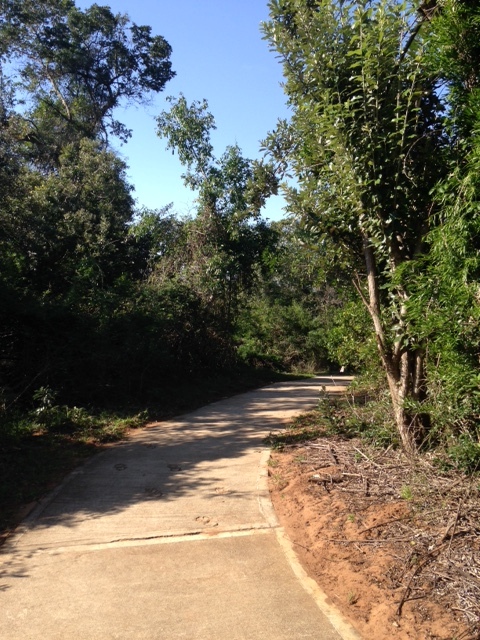 Some of the paths have fairly steep climbs and some shaking boards along the way, but with a willing helper/strong arms, it’s do-able. 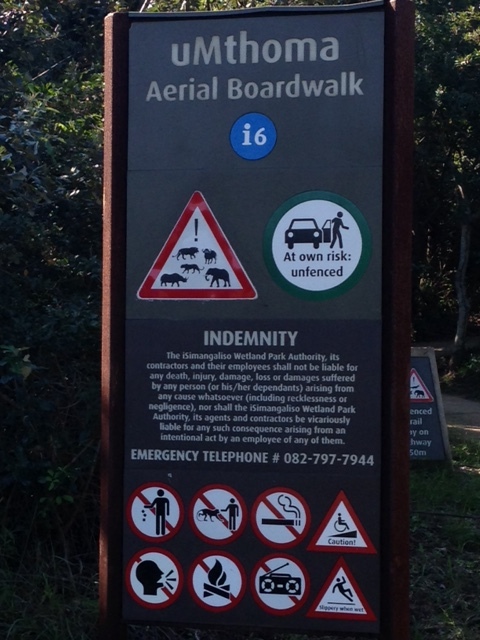 This entry was posted in Accessibility, Travel & Exploring and tagged Aerial Walkway, Dlinza, iSimangaliso, KZN, Road Trip, St Lucia. Bookmark the permalink.